Scuba diving in the breathtakingly beautiful coral archipelago of Seychelles is spectacular and diverse, and is often recognized as some of the best in the world. 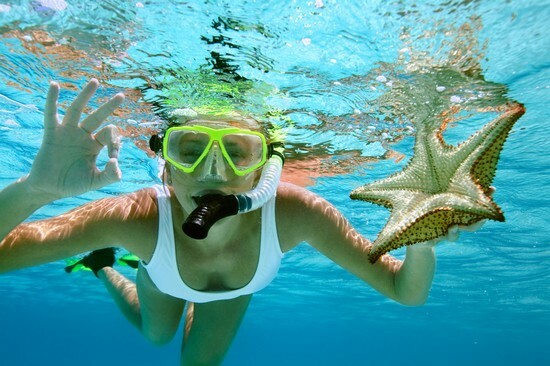 There are so many diving spots to choose from that you are sure to find something new every day. The outer islands of the chain are mostly uninhabited, making it a haven for professional divers. The inner islands are also blessed with plenty of diving perfect for novices and professionals alike. There are PADI dive centers throughout the islands and at most of the hotels. Excellent dive sites are found around Denis Island, Desroche or Bird Island. What are you waiting for, find cheap flights to the Bird Island and enjoy these perfect diving spots! Bird Island is a magical privately owned island named for the million sooty terns that nest here each year. Located at the edge of the Seychelles continental shelf, the island is surrounded by 5-kilometers of sparkling white sandy beach and crystal-clear blue waters. Bird Island is also the home of Esmeralda, the largest giant tortoise in Seychelles. Scuba diving is one of the preferred activities in Bird Island. The eastern and southern sides of the island are surrounded by a barrier reef, which not only acts as a protective shield, but also harbors a fascinating range of marine life, including hawksbill and green turtles, dolphins and even whales. Bird Island is a true masterpiece of nature that warmly welcomes adventure seekers to explore its land and water pristine beauty still untouched by man. Be sure your visit will be one of the most extraordinary experiences you’ll ever have!